Satoru Iwata, president of Nintendo, passed away Saturday after succumbing to complications from a bile duct tumor. The 55-year-old chief executive announced in 2014 that the tumor was discovered while he was having a routine physical done. After a more in-depth examination, doctors found a growth in his bile duct. In his statement at the time, Iwata said that they had caught the tumor in its very early stages, before any of the symptoms had surfaced. He underwent surgery in June 2014 to have the tumor removed from his biliary tract. “I came through it well, as predicted,” Iwata said in his statement, before returning to work in October 2014. His recovery, however, was short-lived. 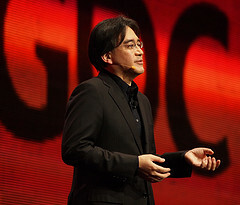 According to the International Agency for Research on Cancer, the rare cancer form that Iwata possessed tends to be aggressive and progress quickly. Because of where the bile duct tumors are located, it can be difficult to treat. Bile ducts are essentially drainage tubes that connect the liver to the small intestine and transport the fluid (bile) your body needs to digest fats from food. A growth can develop in various parts of the duct system, interfering with this essential digestion process. Survival rates depend greatly on where the growth is located. If the tumor is caught early while it’s still within the liver, the chances of survival are around 15%, according to the American Cancer Society. If the cancer becomes regional (e.g. spreads to the lymph nodes), that number drops to six percent, and if it spreads to more distant parts of the body, the survival rate drops to two percent. Although the specific type of bile duct cancer that Satoru Iwata had isn’t common, efforts are advancing to improve the prospects of survival for diagnosed patients. For instance, scientists in the U.K. are developing techniques to study these types of tumors in greater detail in tissue culture, which can help to develop better diagnosis and treatment options. Kreps, D., “Satoru Iwata, President and CEO of Nintendo, Dead at 55,” Rolling Stone web site, July 13, 2015; http://www.rollingstone.com/culture/news/satoru-iwata-president-and-ceo-of-nintendo-dead-at-55-20150713. Gale, J., “Nintendo President’s Death Highlights Risk of Rare Cancer Type,” Bloomberg web site, July 13, 2015; http://www.bloomberg.com/news/articles/2015-07-13/nintendo-president-s-death-highlights-risk-of-rare-cancer-type. “Survival statistics for bile duct cancers,” American Cancer Society web site; http://www.cancer.org/cancer/bileductcancer/detailedguide/bile-duct-cancer-survival-by-stage, last accessed July 14, 2015.